Viacom has made a major acquisition in the streaming video space, buying the free, ad-supported over-the-top streaming service Pluto TV in an all-cash deal valued at $340 million. Pluto TV will operate as an independent subsidiary of Viacom once the deal closes, with cofounder-CEO Tom Ryan continuing to serve in that role. The deal is expected to close in the first quarter of 2019, subject to regulatory approval. 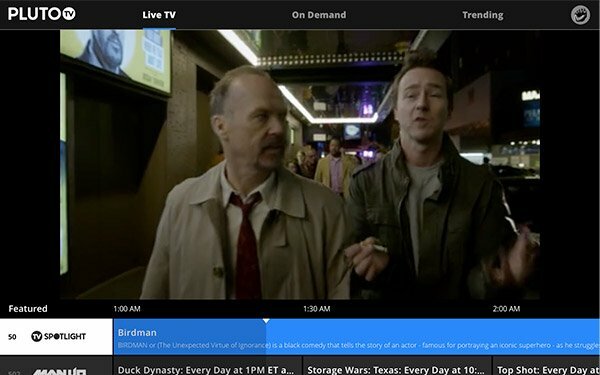 Pluto TV is one of a number of streaming services trying to offer a free, ad-supported alternative to premium subscription services like Netflix, Hulu, and Amazon Prime Video. The company says it has more than 12 million active monthly users, of which 7.5 million watch on connected TV devices. The service has both linear channels and on-demand content from a roster of over 130 partners. One of those partners had been Viacom. Now, Viacom says it will use Pluto to supercharge its digital content reach, stating: "expanding its presence across next-generation distribution platforms and growing its advanced advertising business” is a key strategic priority for the company moving forward. Pluto will also have access to Viacom’s full library and existing brands. The deal marks a major bet by Viacom on free, streaming video content. While competitors like Disney and NBCUniversal are zigging by creating their own premium subscription offerings, Viacom decided over the past year to zag, creating digital studios to feed those services with original shows. Likewise, a major acquisition in the free OTT space marks a distinctly different strategy than its rivals.